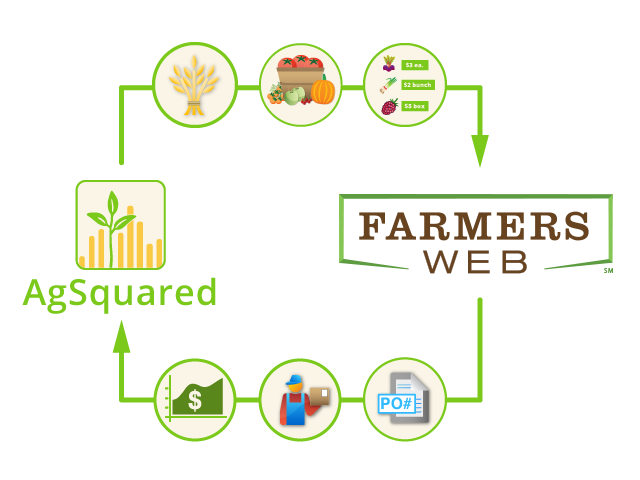 AgSquared and FarmersWeb now work together! 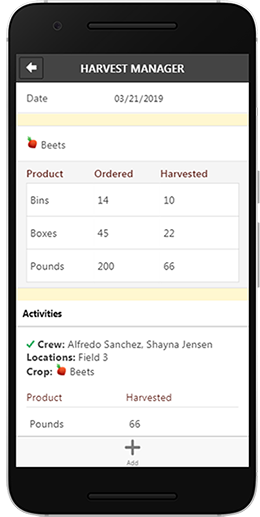 Coordination between your harvests and sales just got a whole lot easier! Communication between the farming side of your business and the sales part of your business is a crucial part of having a successful operation. Those in the field need direction from those doing sales in order to know what to harvest and when. And those doing sales need good communication from those in the field to know what’s available and currently freshest. But coordinating these two ends of your business can be time consuming, inefficient, and full of challenges. 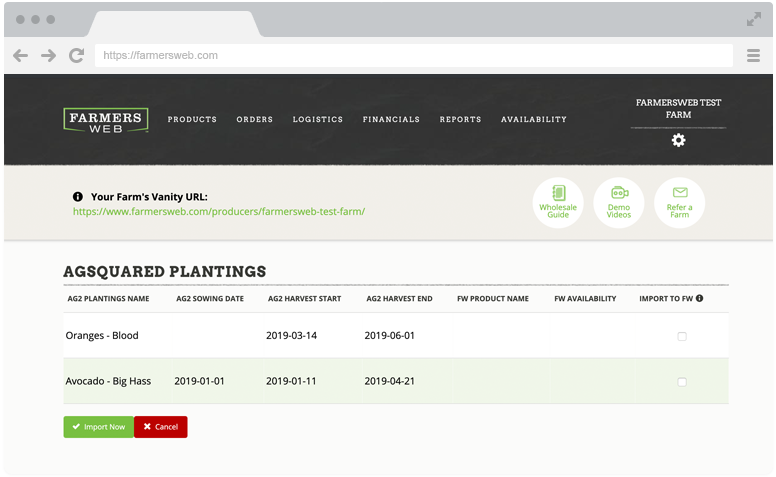 In an effort to make the selling process and farming process work together seamlessly, AgSquared and FarmersWeb now work together, so that information can easily translate from the field, to the sales team, and to the customer. Everyone is updated on what’s available, what needs to be harvested, and what’s coming next. And the best part is that you don’t have to jump from software to software – your information automatically flows between AgSquared and FarmersWeb. Free software with online tools to help keep your buyers up to date on your current and future product availability. Accept online orders by credit card and use all FarmersWeb features with those orders. Inform Your Buyers, Save Time, & Reduce Errors. All FarmersWeb features. Manage orders for buyers who place them online but also by phone, or email. Allow select buyers to order online but pay later. Easy automatic invoice creation. And much more!